Maharashtra, Uttar Pradesh and Gujarat together account for over half of the total investments attracted by real estate and construction sector in India as of December 2016, noted a study by ASSOCHAM. 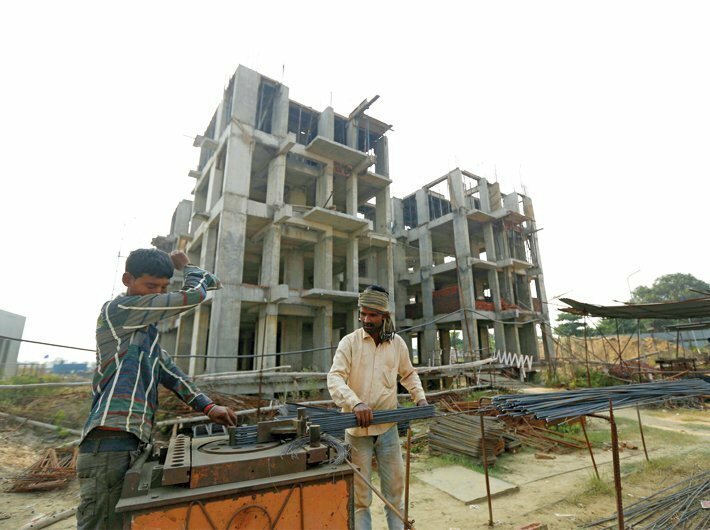 “There are about 3,489 projects worth Rs 14.5 lakh crore in the construction and real estate sector that are currently live across India,” according to the study titled ‘Construction and real estate investment: State-level analysis’. While Maharashtra alone accounts for lion’s share of about 25 per cent in total investments attracted by real estate and construction industry in India as of December 2016 followed by UP (13 percent), Gujarat (13 percent), Karnataka (10 percent) and Haryana (nine percent). “The centre and state governments must introduce a single-window clearance system at the earliest to avoid time and cost overruns that are impacting the growth and development of real estate sector in India,” DS Rawat, national secretary general of ASSOCHAM. “Government should also grant industry status to the sector to counter the apathy of banks in financing realty projects. As for the sector, the companies in the real estate space must keep looking for long-term financial resources to become independent,” he said. The study prepared by ASSOCHAM Economic Research Bureau (AERB) highlighted that almost 90 percent of construction and real estate investments are concentrated in top 10 states. So far as the investment growth trend in this sector is concerned, the sector touched highest rate of 13.5 percent in 2010 but recorded sharp downfall till 2013 whereby it recorded negative growth of about eight percent but it picked up in 2014 to reach about three percent and again fell to (-) 2 percent in 2015. However, the real estate and construction investments recorded a positive growth rate of 2.5 percent in 2016 as such the sector clocked compounded annual growth rate (CAGR) of (-) 0.7 percent between 2011-16. Among states, Odisha has recorded highest CAGR of about 37 percent in investments attracted by realty sector during 2011-16 followed by UP (nine percent), Maharashtra (three percent), Kerala (1.6 percent) and Andhra Pradesh (1.4 percent) while rest all top states clocked negative growth in this regard. It is worrisome to note that 70 percent of construction and real estate investment projects remained non-starter in India since 2013. Secondly, significant growth has also been recorded in projects that remained under different stages of implementation i.e. from 63 percent in 2009 to about 77 percent in 2015 which moderated to 72 percent in 2016. Among states, over 95 percent of realty investment projects are under implementation in West Bengal followed by UP (90 percent) and Punjab (88 percent). High under-implementation rate leads to time and cost overruns. As such of over 2,300 construction and real estate projects that are under-implementation, 886 projects are facing an average delay of 39 months and about 93 percent of these projects are in the housing sector while rest are commercial complex. More than 95 percent of delayed 886 projects i.e. 845 projects are accruing to private sector ownership while public sector ownership has only 41 such projects. Real estate projects in Punjab are facing maximum delays to the tune of 48 months followed by Telangana (45 months), West Bengal, Odisha and Haryana (44 months). On a positive note, while the new investment activities in real estate and construction sector have recorded negative growth between 2011 and 2015, it recorded a significant spike in 2016 (32 percent).